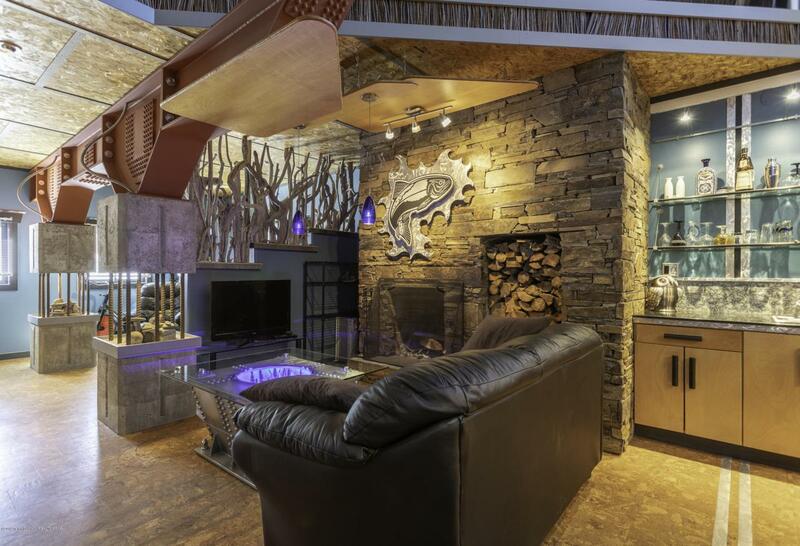 Absolutely one-of-a-kind artistic property right in the heart of Alpine - this has multiple opportunities for commercial and residential. An interior garage, and additional outbuildings are included in this mixed-use property. Every detail has been considered in this home - down to the lighting, unique metal accents, high-end kitchen, art-decor inspired finishes and more this residence offers a great lifestyle for someone wanting solid commercial space while still having all the comfort and amenities of living in Alpine. The home is just a short snowmobile or Jeep ride to the Grey's river - where endless fishing, hiking, camping, snowmobiling, and more await.